How can slumber parties and nighttime snuggles get any cuter? With our new PJs! 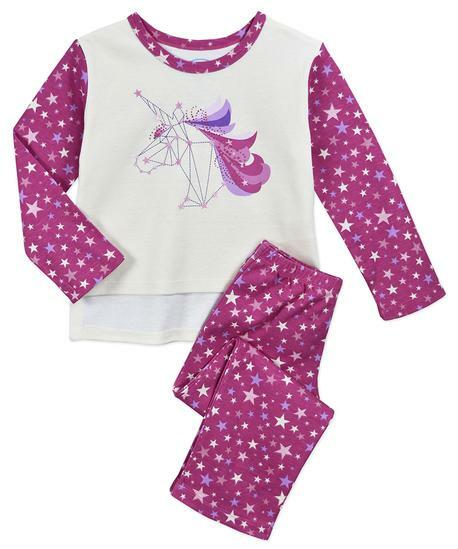 We gave our classic pajamas a trendy twist so your kids will adore them even more. The high-low top is just as stylish as her favorite school shirt, and gives these jammies a little more wiggle room. She’ll go crazy for the cute prints, each with matching straight-leg pants, comfortable cuffs, contrasting collar and no-complaint waistband.